Passion born out of a scholarly encounter has paved the way for Singapore-based photographer Audrey Kwok's career. Her work composed of crisp colors screams the word pleasant. A first-time LomoAmigo, Audrey tests out the Petzval 85 Art Lens and shows us her take on swirly bokeh. Please introduce yourself to the Lomography community and the readers of the Online Magazine. My name is Audrey Kwok and I’m based in Singapore. I’m a full-time university student and I do freelance photography as well. I generally shoot portraits and travel. I did H2 and H3 Art for my GCSE A-Levels. That was about three years ago. Back then, I was primarily a painter and didn’t know a thing about cameras. I was first exposed to photography during a compulsory studio photography module that was part of my H2 syllabus. I was completely out of my depth, but I was intrigued. After finishing my GCSE’s, I bought my DSLR and started shooting seriously. I think my style is dreamlike and detached. I am interested in curating the space surrounding my models and playing with light. I shoot mostly with natural lighting. What subjects do you particularly like to take photos of? I like shooting people! I used to take photos of architecture and landscapes but ran out of places to explore within Singapore since it’s so small. I started shooting portraits and liked the creative control I had. I prefer conceptualizing and directing my own shoots (as opposed to the documentary style I take in architecture and landscape photography). What/Who do you consider as the greatest influence in your craft? I am largely influenced by my fine art background. For example, I love the Surrealist art movement and I think some of that comes through in my photographic work. Other than that, I also adore the work of fine art photographers such as Oleg Oprisco, Alessio Albi and Laura Zalenga. Can you tell us a little more about your Petzval 85 Art Lens experience? Any interesting things you encountered or challenges? I’m not used to shooting with a manual lens. This is actually the first time I’ve shot with a manual lens, and I found it damn difficult to get a sharp image with the Petzval 85. Some of my photographer friends advised that I use a tripod, but I thought that was just extremely limiting – I’m used to shifting around for better angles rather than painstakingly composing for ten minutes for just one shot. I eventually got used to the lens, but it took a couple of shoots! Please choose your favorite photo(s) from your Petzval 85 Art Lens shoot. Why are they your favorites? I love how the image combines the soft outer swirl of the Petzval 85 with my favorite light play. Any tips for first-time shooters using the Petzval 85 Art Lens? The Petzval 85 looks amazing when you shoot a subject against high contrast backgrounds such as foliage. That seems to be how the lens is most often used, but that’s not the only way you can shoot with it! I had a lot of fun shooting against low contrast backgrounds as well. It creates a soft, creamy bokeh that’s particularly dreamy. I’d tell first-time shooters not to limit themselves to just tried and tested backgrounds. Do you have ongoing or upcoming projects that you would like to tell the community about? I shoot a couple of times every week and I’m always creating new work! I don’t see my shoots as isolated projects – they’re more of a slow evolution. In that sense, the project is always ongoing. That being said, an upcoming event would be that I’m going to Hong Kong in July! I’m so excited to meet new people and explore new places. To see more of Audrey's works, check out her Instagram and EyeEm, and website. aronne, juniardigiugno, nigalraymond, shhquiet, sanamiii, tejka, rik041, modern_nmt & sirio174. Agathe Savonet is a photographer and software engineer based in Paris, France. Aside from photography, she is also passionate about horseback riding. She tested the Lomogon Art Lens and now we bring you her first impressions. Ever wanted to try out our Neptune Convertible Art Lens System? Photographer Sophia Ragomo takes it for a test run while photographing Alice Merton's show at Bowery Ballroom in NYC. Loretta Ramos is a TV show producer, recently known for Hannibal, American Gods, and Mockingbird Lane. Not quite as dark are her personal photographs, she likes to take with the Diana F+. 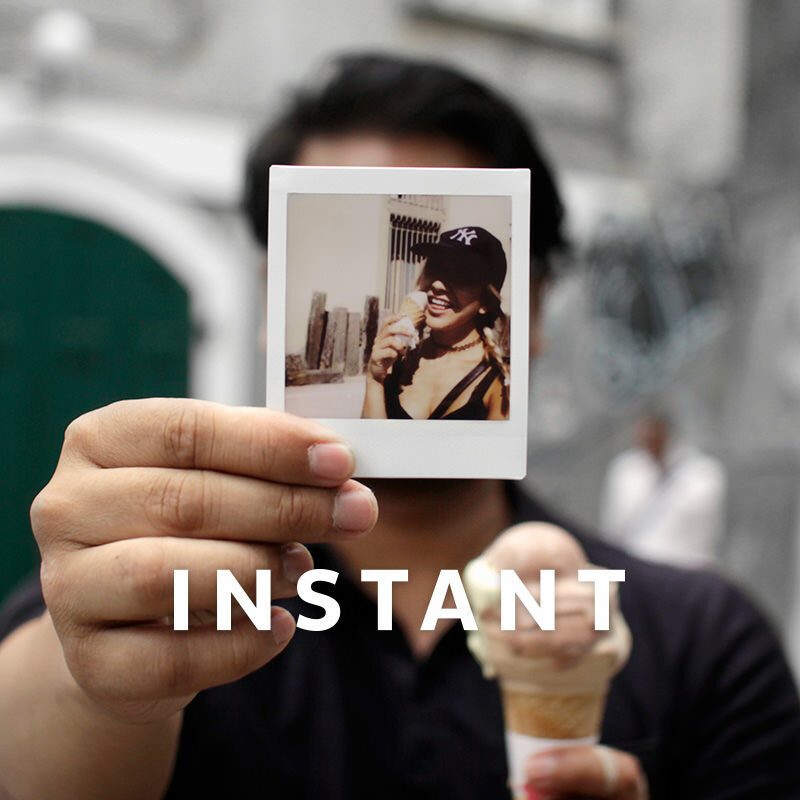 We couldn't wait to see what she thinks of our brand new Diana Instant Square and sent her a prototype to test.